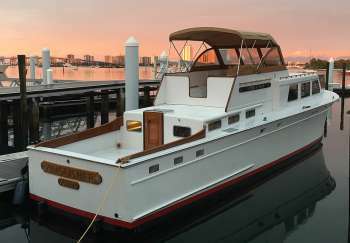 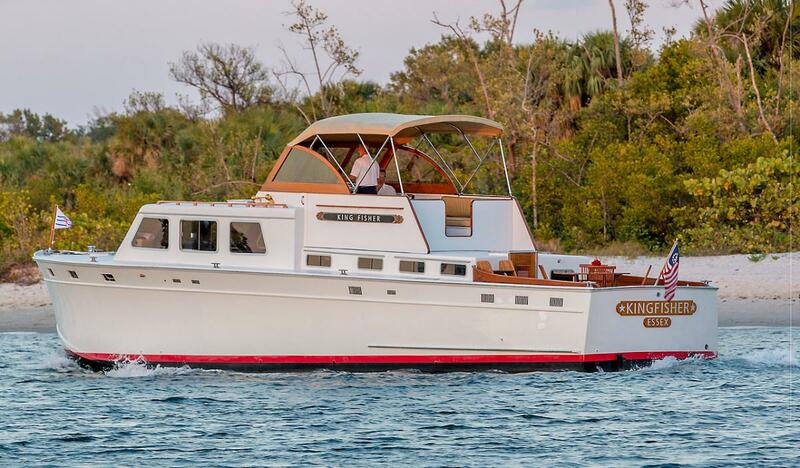 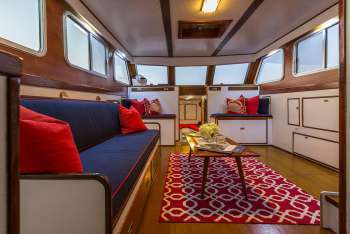 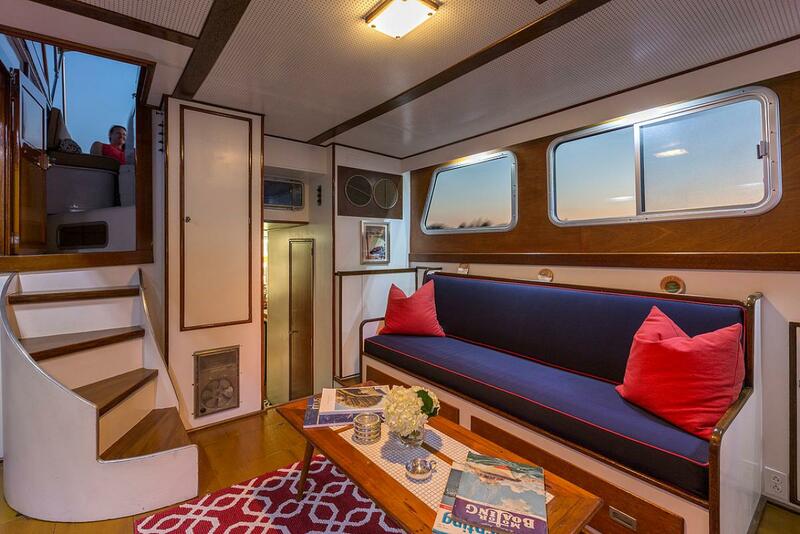 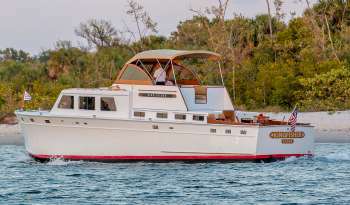 KINGFISHER is a 50' 1959 Corinthian Huckins that offers 2.5 hour, 4 hour (half-day), 8 hour (full-day) charters and multi-day excursions. 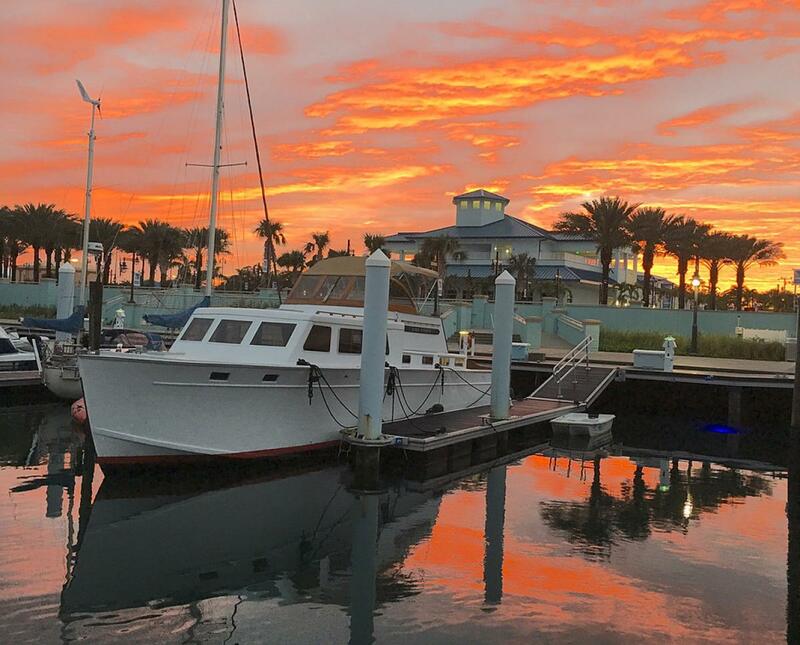 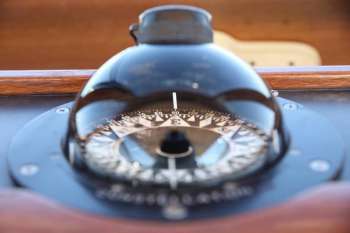 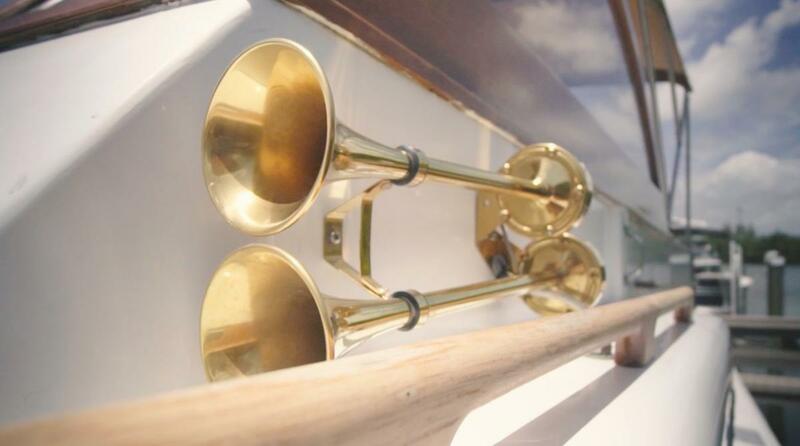 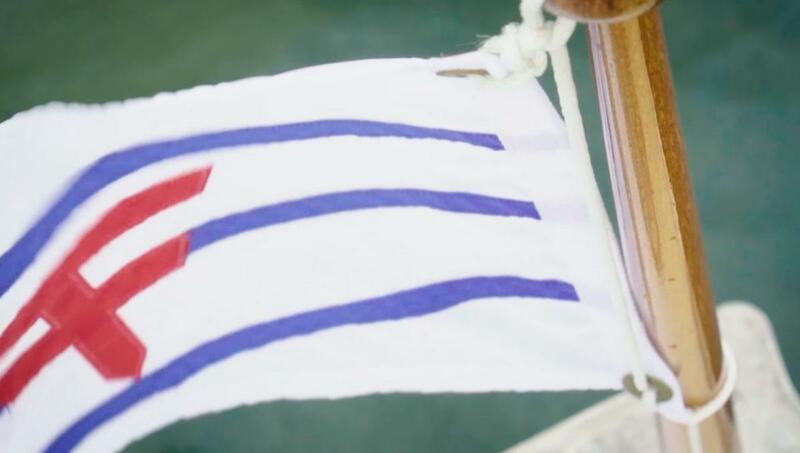 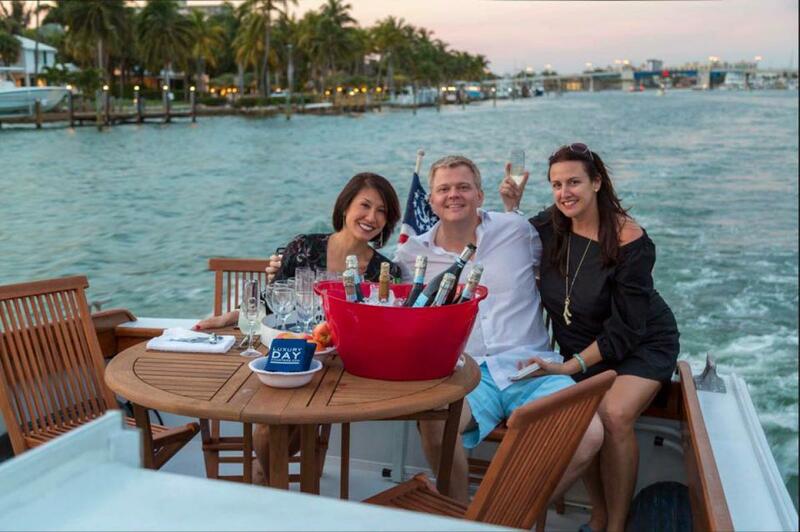 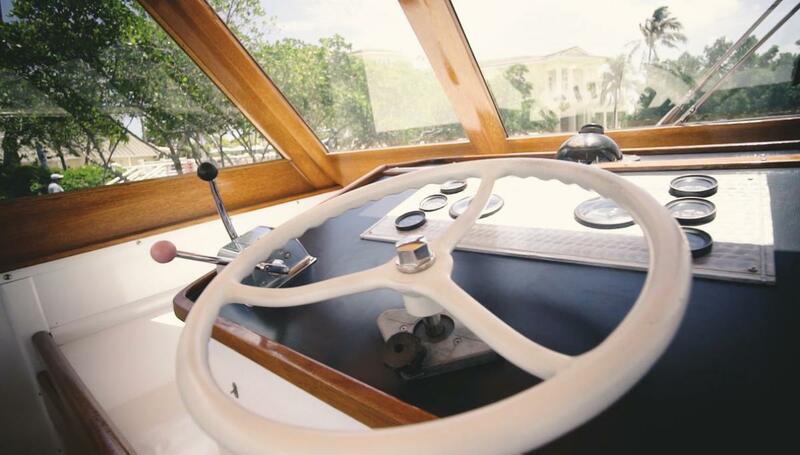 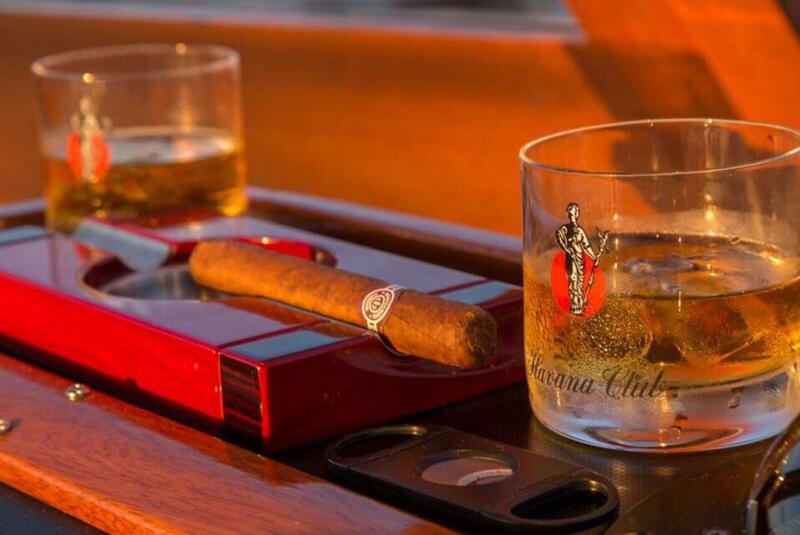 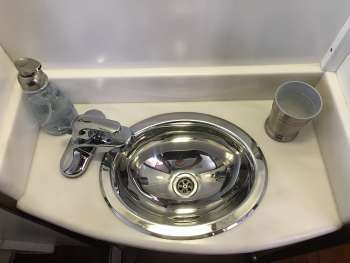 All charters include a professional crew, including a licensed Captain, stewardess and local fuel. 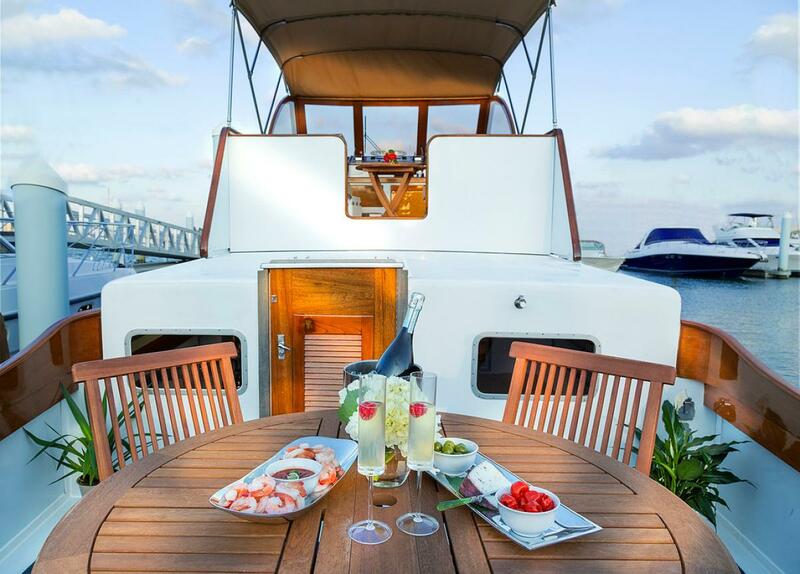 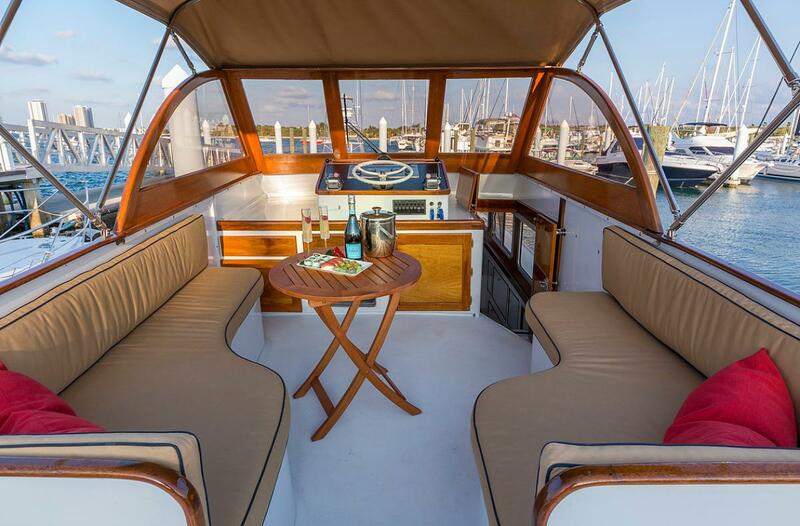 KINGFISHER has a large shaded flybridge offering the perfect perch for regatta spectating or simply a relaxing cocktail cruise. Ideal for entertaining, the roomy salon has a comfortable settee and large side windows with great views while cruising or at anchor. 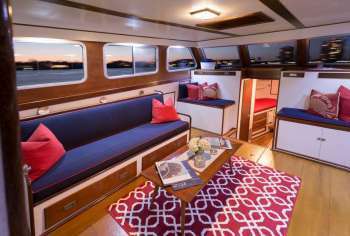 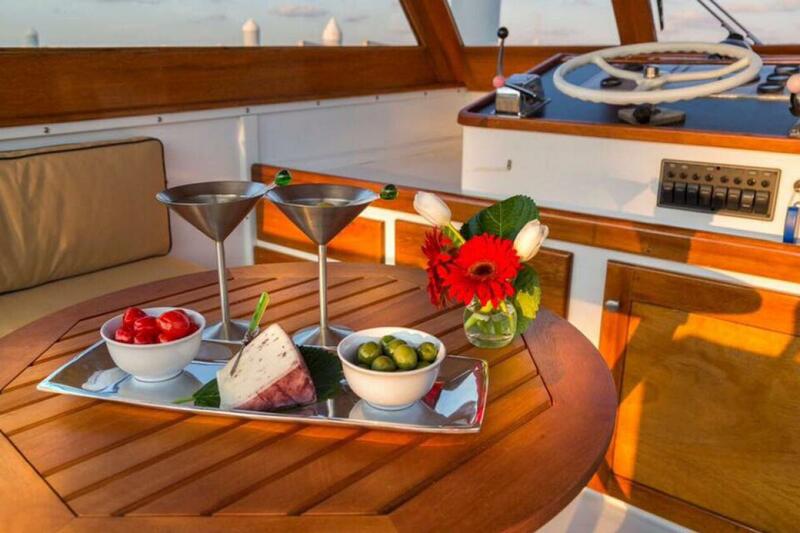 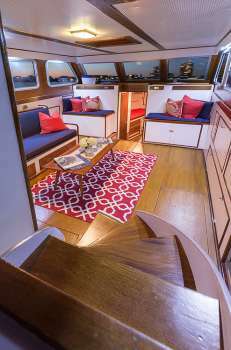 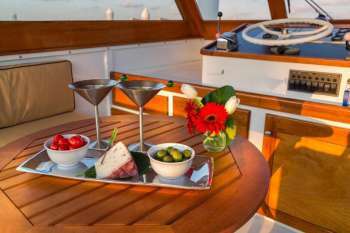 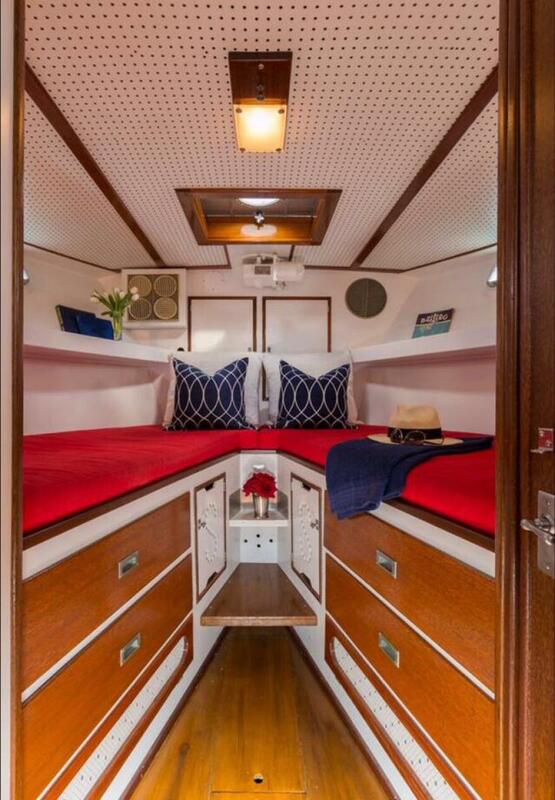 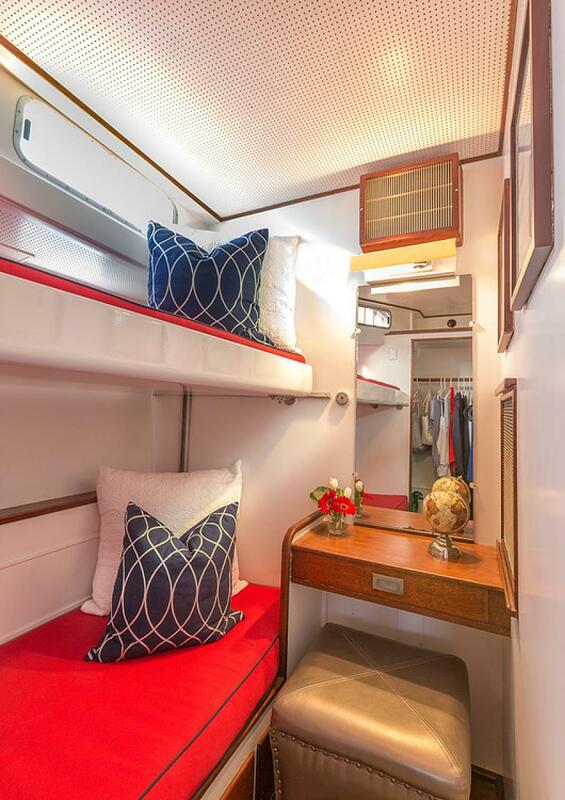 A large raised foredeck provides ample room for a sun lounge for two, while the spacious aft cockpit can be used for alfresco dining. 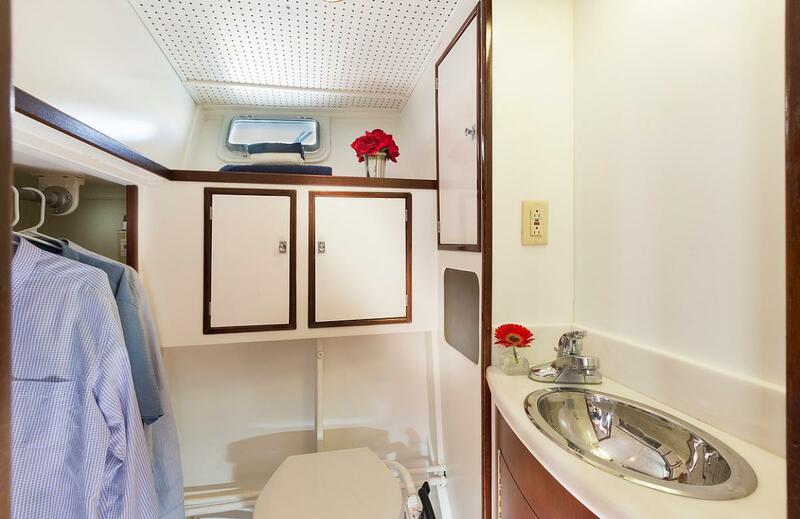 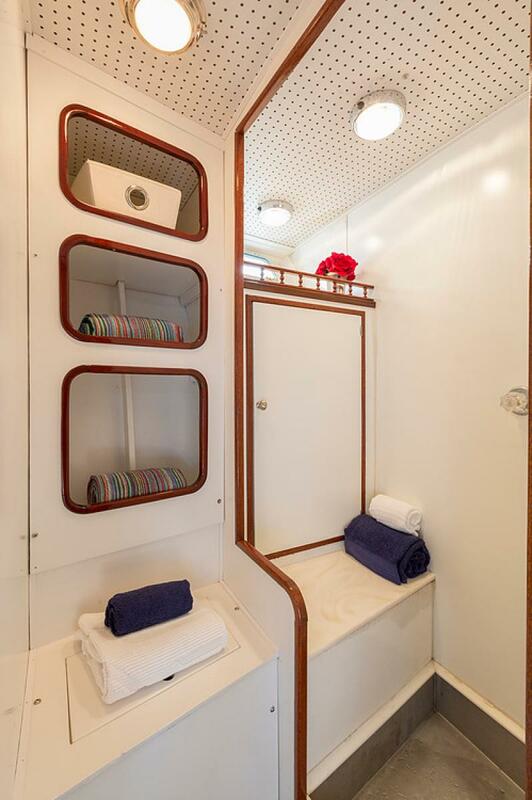 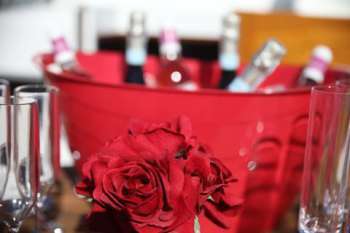 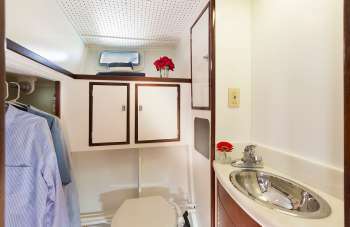 A cozy master cabin with V-berth and private bath/shower and a guest cabin with a second bath/shower offer comfortable overnight accommodations for guests. 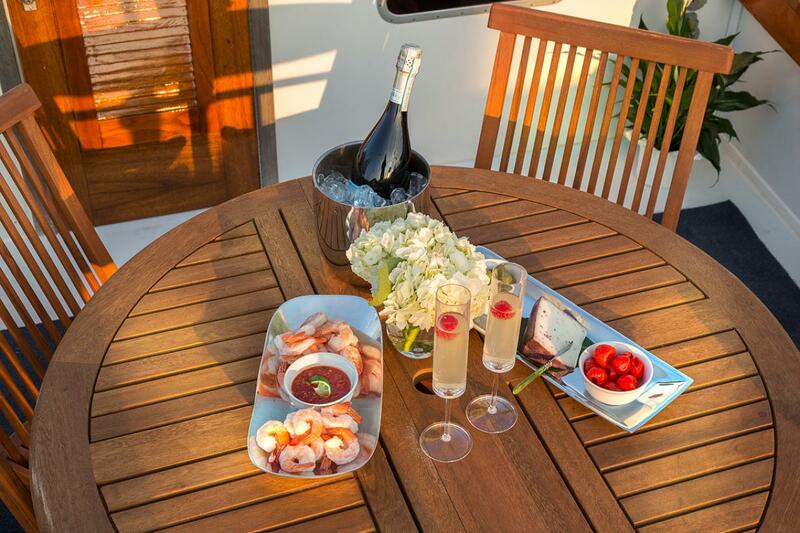 Charter destinations include; Palm Beach, FL (Jan - Mar) - Charleston, SC (April - May | Oct - Dec) - Newport, RI & Hamptons, NY (June - Sept). Contact Sara Gielow at 954-383-9544 or sgielow@huckinsyacht to obtain more information.